Please take a moment to click here to enter our Christmas Blessing Giveaway!! 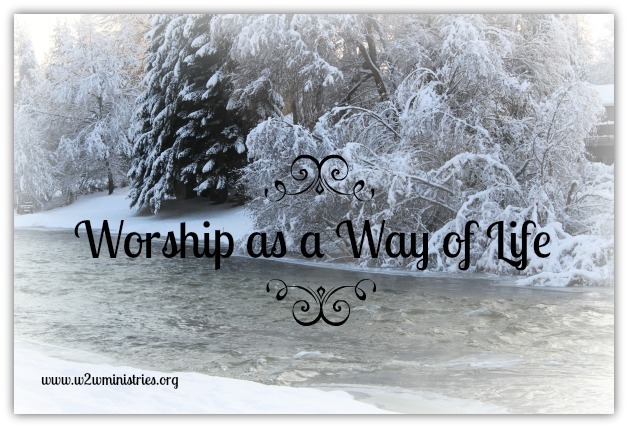 In our study over the past several weeks we have discussed what it means to worship. Worship can come in many forms and our worship can be directed at many things. You can see the act of worship at rock concerts, football games, or while sitting in front of the television set. There is nothing wrong with enjoying these things in life, the problem comes when it gets out of hand, when those things are what we live for. Worship needs to be directed to one person alone, Jesus Christ, our Lord and Savior of all. The thing is, Jesus wants more than just our words when we worship, He wants our actions as well. He wants our worship to be as a way of life for us. God's word describes to us how to properly worship Him. He calls us to give our lives and our all to worship Him. He doesn't want us to conform to things of this world, but rather to stand out and be different and do what is pleasing to God. 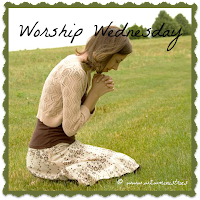 In order to worship God in the way He deserves it must be done with all of who we are. Friends, God wants our words and actions to match. He wants ALL of our actions, and ALL of our everyday lives to be about serving Him. The meals we prepare, the diapers we change, the errands we run, the late night feedings all need to be done in an act of worship and service to Him. He wants others to see that there is something different about us. Something inside us that pushes us forward, that gives our lives meaning. He wants others to see Jesus inside us. He's called us. Are you ready to answer the call? What can you do today to make your life about serving and worshiping Him? Beautiful encouragement! God wants our lives to be full of worship in all things.